I have discussed Curlformers– fantastic hair curlers that work without any application of heat – many times on this site. I’m a huge fan of the product since they proved an ideal way to style my hair during my #30daysnoheat hair challenge, which saw the condition of my hair improve dramatically. I was invited to the Curlformers photo shoot held at Brighton’s Electric Hairdressing Studio last year. My love for the brand means I felt ever so slightly appalled to discover cheap knock-off Curlformers are available, when browsing eBay a couple of months ago. For less than £5 (including P&P from Hong Kong) it is possible to buy a set of “Magic Leverags” from the online auction site. I discovered that these cheap hair curlers are in violation of Curlformers’ UK and European, USA and China patents. They’re actually an illegal product! I must admit, intrigue got the better of me. I ordered a pack to see how they compared to my beloved Curlformers’ styling kit, worth around £45. The knock-offs took quite a long time to arrive, but I wish they hadn’t at all. Magic Leverags are a poor substitute. I tried them out just once and threw them in the bin! 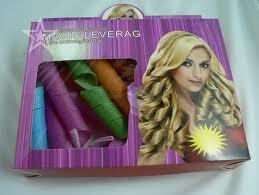 Magic Leverags are only suitable for those with hair up to 10” long. This means many women will not be able to use them to create a bounty of curls. Curlformers meanwhile, are available in three different lengths. Magic Leverag kits only contain 18 curlers. This is less than half the number provided in Curlformers Styling Kits (40). Covering a full head is pretty much impossible with so few curlers. Because of the length you may even need two per a curl. Unlike Curlformers, the fakes are not available in range of widths, limiting the curly hairstyles you can create with Magic Leverags. The mesh used for Magic Leverags is of terrible quality. It is all too easy to push the hook through the side of each curler during application, causing painful knots and tangles. At one point I thought I’d never get the hook out of my hair! The low quality mesh also means they don’t retain their shape very well. No matter how hard you pull a Curlformers curler, it will always spring back into its original shape. This is not the case for the counterfeits. The quality of the resulting curls is less defined. It also makes it harder to pull hair through each curler. 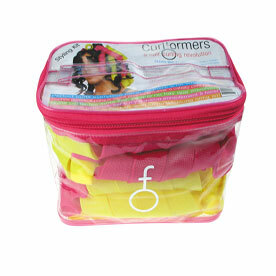 Curlformers styling kits comprise two colours only – one for clockwise curls, and another for anti-clockwise curls. Magic Leverags however, were made up of four different colours. I had blue and pink clockwise, and anti-clockwise, curlers (also a random orange one!?) This made applying them in a flattering way quite difficult, and time consuming. As I mentioned before, delivery for Magic Leverags is really slow. The fake curlers take 8 weeks to arrive, whereas UK Curlformers are delivered in just 3-5 working days. Who wants to wait two whole months for curly hair? There’s a market for most counterfeit products but as we all know, a fake Gucci bag is NOT a Gucci bag! If you’re seeking beautiful, well-formed curls with no heat and want to invest in a product which will provide you such for a lifetime, purchasing official Curlformers really is your best option. What do you think about counterfeit hair and beauty products? Do you think there should be greater measures in place to ensure companies cannot mimic approved product patents? Share your views in the comments below.